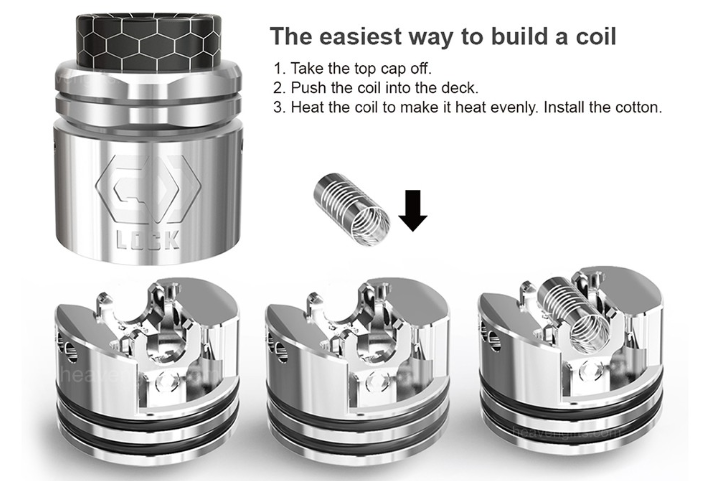 Home Vape Tutorials Vape Guide What’s A Notch Coil? The year was 2016. Wismec announces a new revolutionary coil design. It’s called the notch coil. Jaybo from Wismec said that one day, the notch coil could make the art of wrapping traditional coils obsolete!?! They were a pretty big hit at first, but the notch coil hype started to fade in 2017. Here we are in 2018 and people are still wrapping coils for their devices, however it looks like notch coils are making a comeback. So what is a Notch Coil? A notch coil is a stainless steel tube with alternating notches cut outs along the sides. Lead wires are soldered onto the ends of the tube for your positive and negative connections. It’s a pretty radical design vs the standard wire wrapped coils we are all familiar with and it comes with some pretty cool benefits. 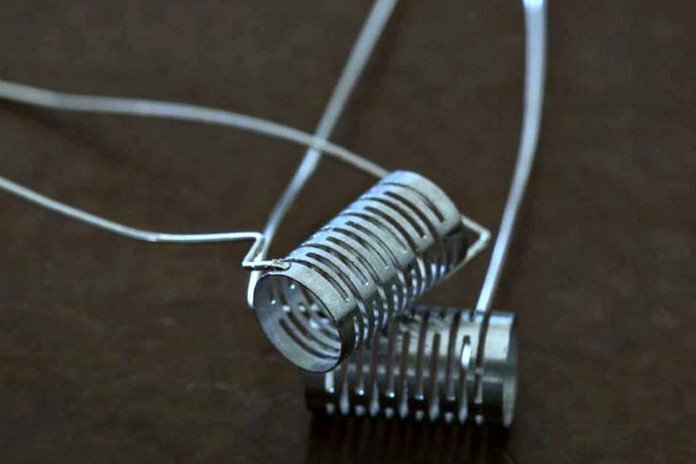 Notch coils are high performing coils that are easy to install and provide a great vaping experience. There’s no need to wrap, twist or jig any wires. You screw in the lead wires and you’re good to go. (on an RDA/RTA build) If you’re using a sub tank, the swap to a notch coil is as easy as swapping out your existing coil head for a notch coil one. Since the body of the coil is a tunnel with notches cut out, you have more surface area to make contact with your cotton which can result in increased flavor and vapor production. Ramp up and ramp down time on the coils is excellent since they are made from stainless steel. They also work in temperature mode so they are quite versatile. 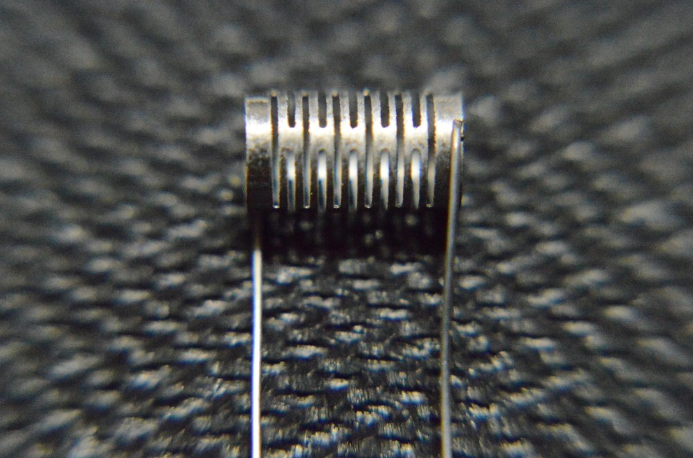 Notch coils also tend to last longer. Compared to their wire wrapped counterparts. As the coil material stands up to usage longer due to the sturdier coil body. One thing to note, since the coil is covering a larger surface area compared to traditional wire wrapped coils, notch coils are best suited to mid to higher powered mods when using in sub ohm applications (45+ watts). There are some notch coils available in the MTL style build where sub 30-watt vaping works fine. Where can you use a Notch Coil? 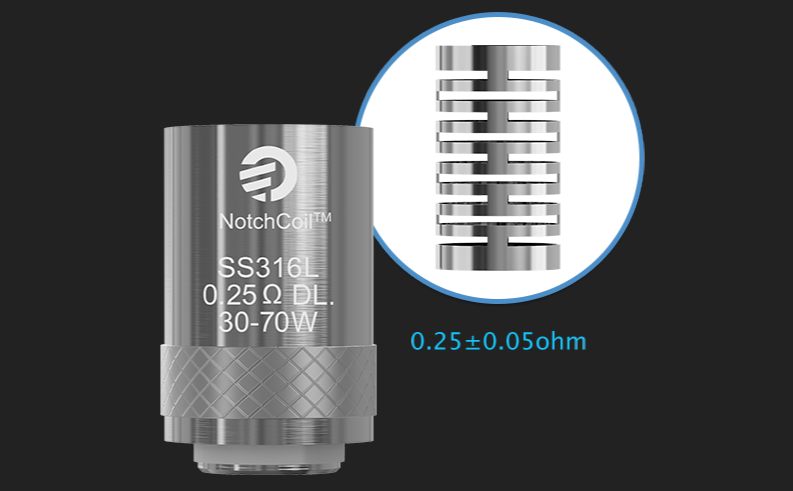 Notch coils can be used in RDAs, RTAs and Sub Ohm tanks. 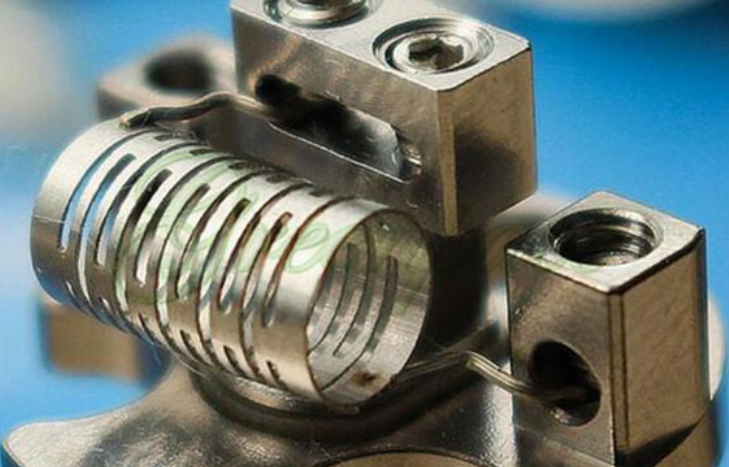 You can purchase pre-made notch coils in different ohm varieties. Some companies also offer coil heads with notch coils for easy install. So while the notch coil has been a great innovation to the vape industry, it hasn’t been as successful in penetrating the market as some had originally expected. This could have been the result of some companies releasing notch coil products quite quick to jump on the hype of the new coil design. This resulted in quality control issues and inconsistent vaping experiences. By mid-2017 widespread notch coil offerings from vape, companies seemed to taper off and 2018 looks to be the year of the mesh coil. So is the notch coil dead? Not quite. Ehpro recently released a very cool RDA, the Lock that utilizes a notch coil that clicks and locks into place, making it completely build free and easy to use. You just need to slide your cotton in, drip your juice and you are on your way. It’s a great design that is so user-friendly. The Ehpro Lock RDA and the notch coils have been receiving some quite positive reviews from vapers. Has the notch coil renaissance begun? Only time will tell. 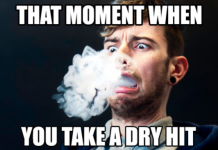 Have you ever tried a notch coil in your vape device? If so, please leave a comment below and share your experience. My name is Mike Cardeno. I started vaping back in 2010 and have never touched a cigarettes since. I started using 810 devices, to 510’s, eGo’s, Nautilus etc. to the current offerings of Subtanks and RDA’s. I love how far the industry has come and look forward to what’s in the future for vaping. I enjoy collecting new devices and writing reviews to give my feedback on some of the newest gear.